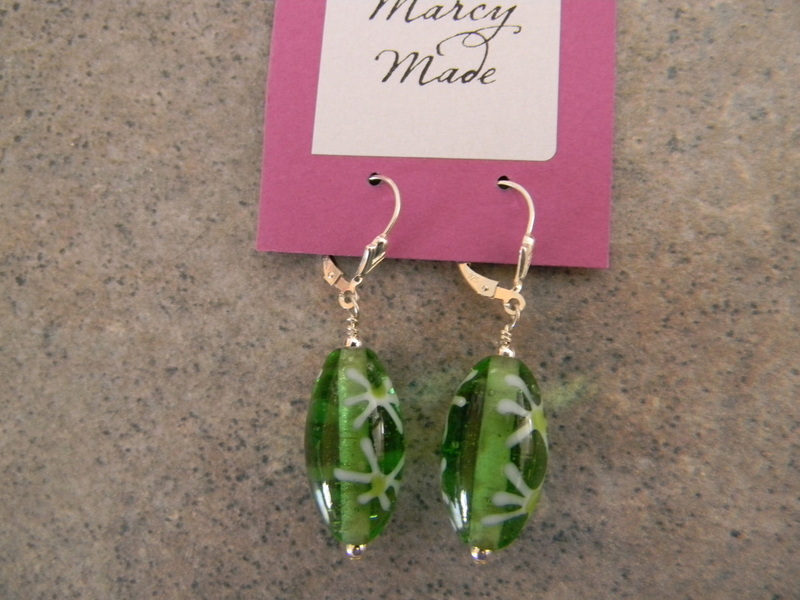 These beautiful green lampwork earrings are fashioned with sterling earwires, and a small sterling bead accent. 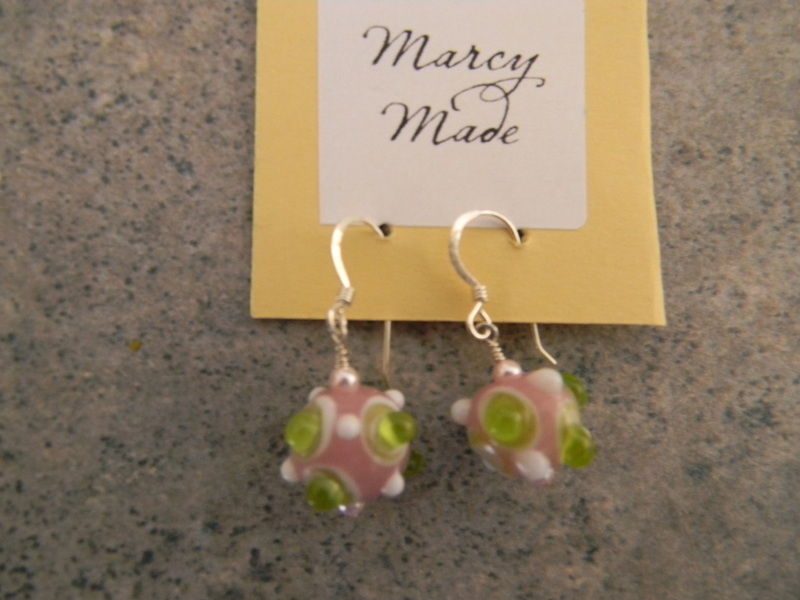 Small pink and light green cats-eye beads are strung on sterlingsilver hoops. 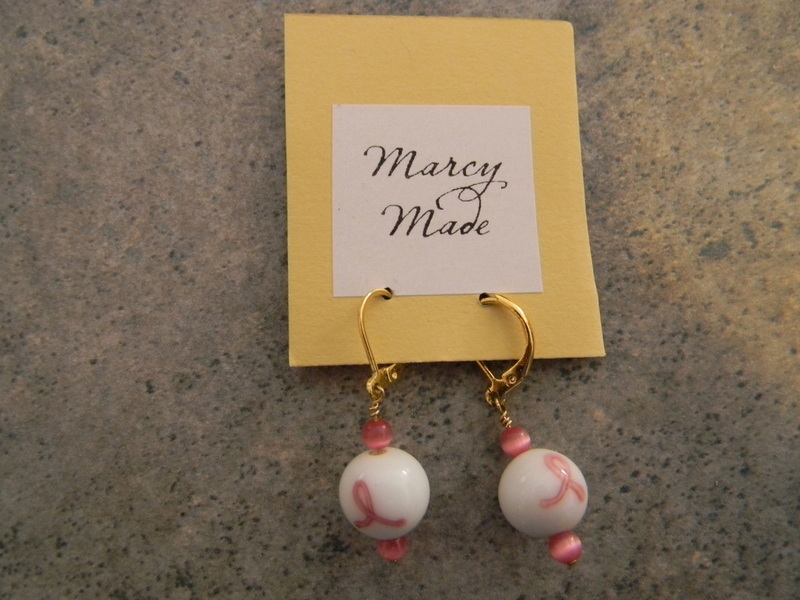 Gold-Filled drop ear wires hold white beads with the Pink Ribbon. 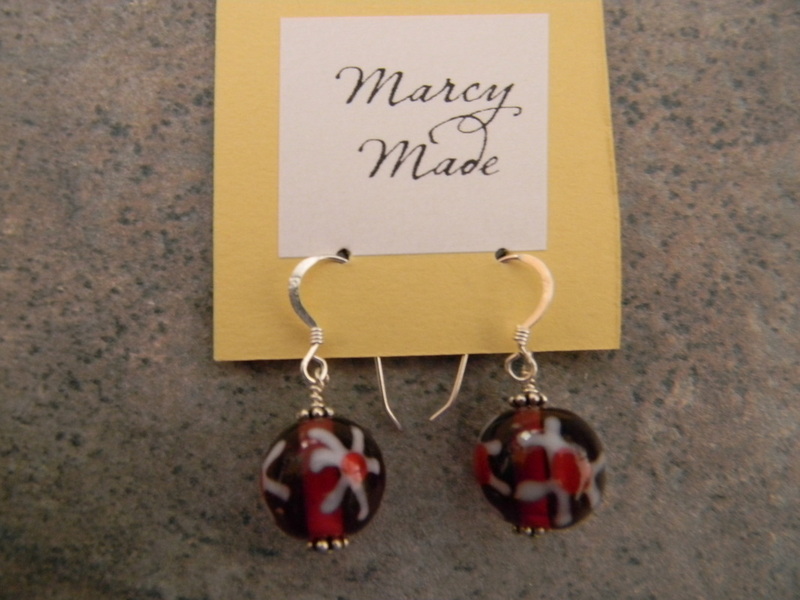 Accentged with small pink cats-eye beads for accent. 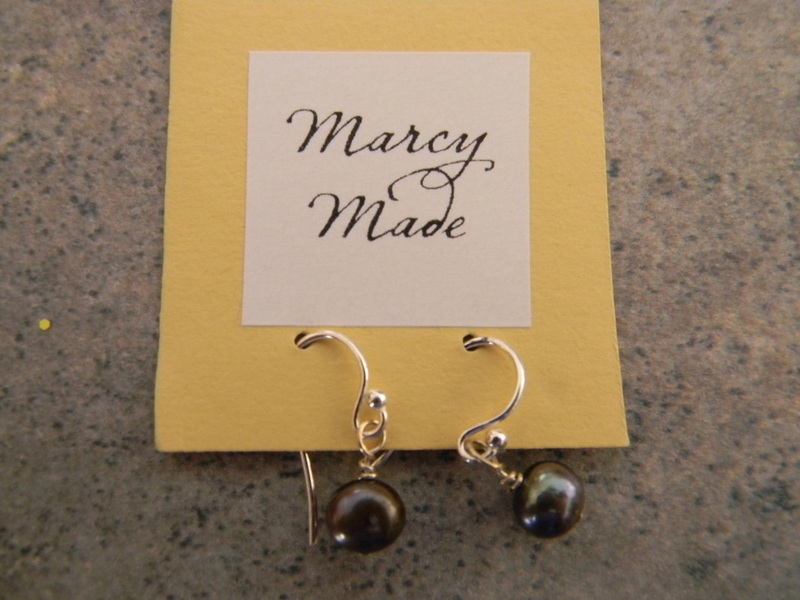 $1.00 from each pair sold is donated to Susan G Komen for the Cure. 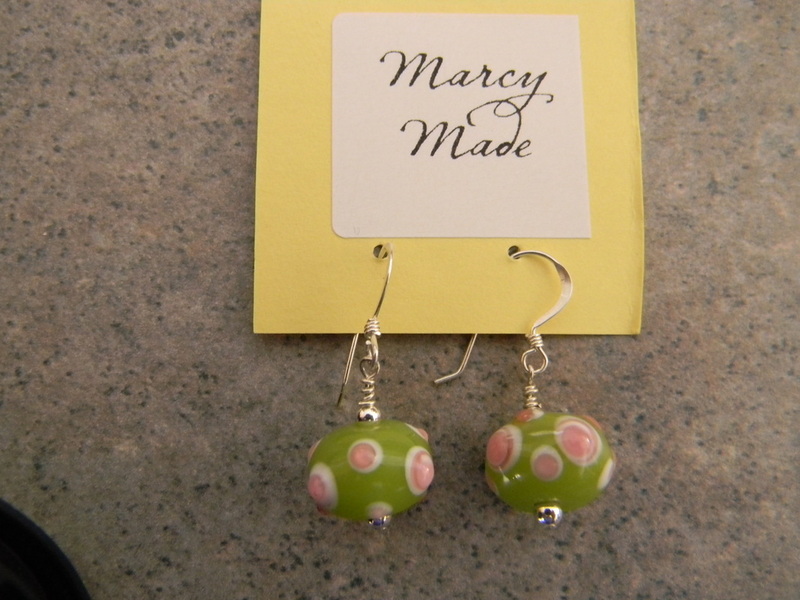 These fun earrings are decorative pink beads with raised white and green dots on a sterling silver earwire. 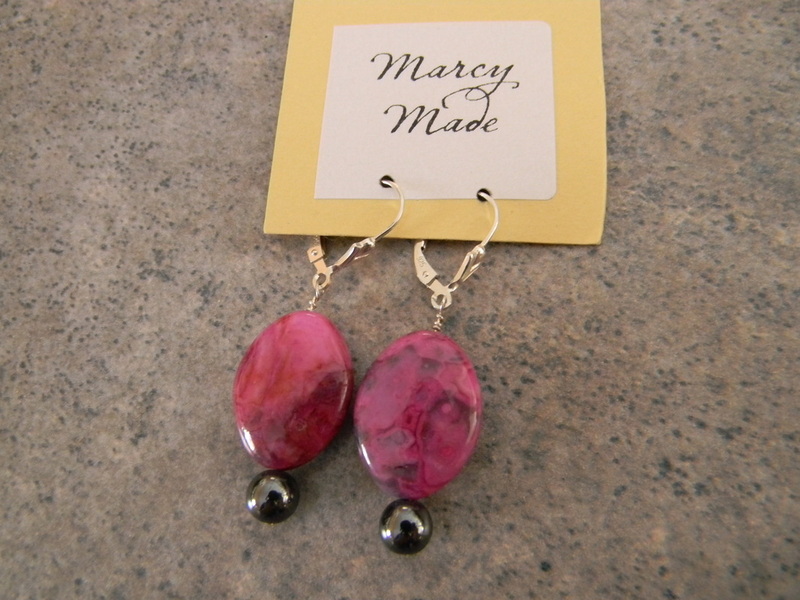 Magenta Crazy Lace stone accented with a hematite bead on a sterling silver earwire. 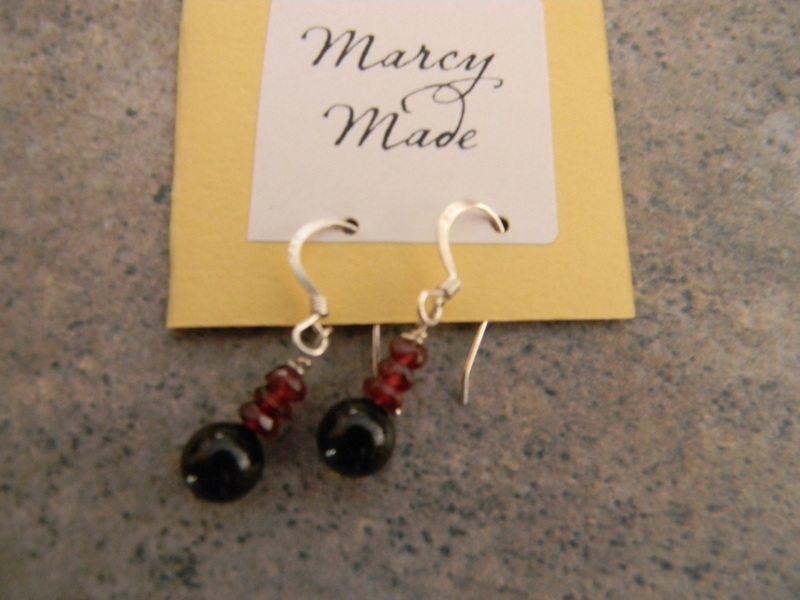 These drop earrings are garnet and black Swarovski pearls on a sterling silver earwire. 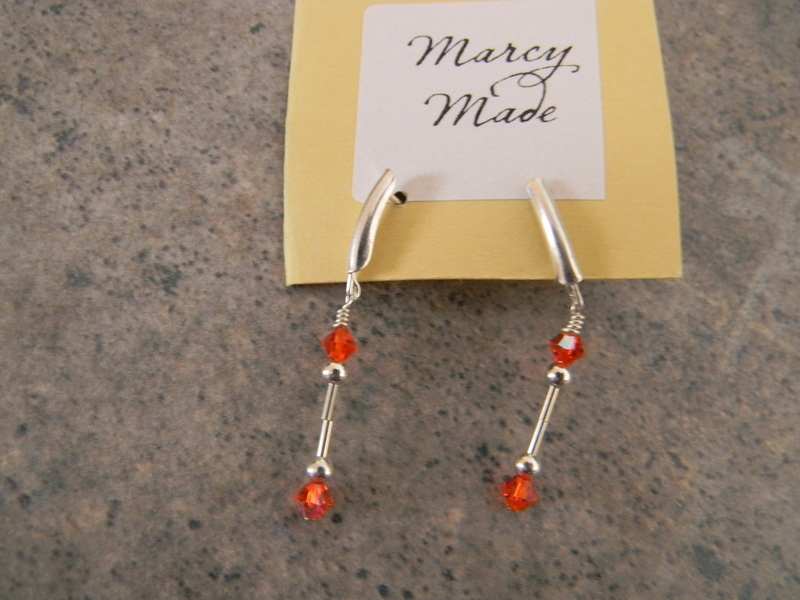 I had never heard of this stone, but fell in love with it. 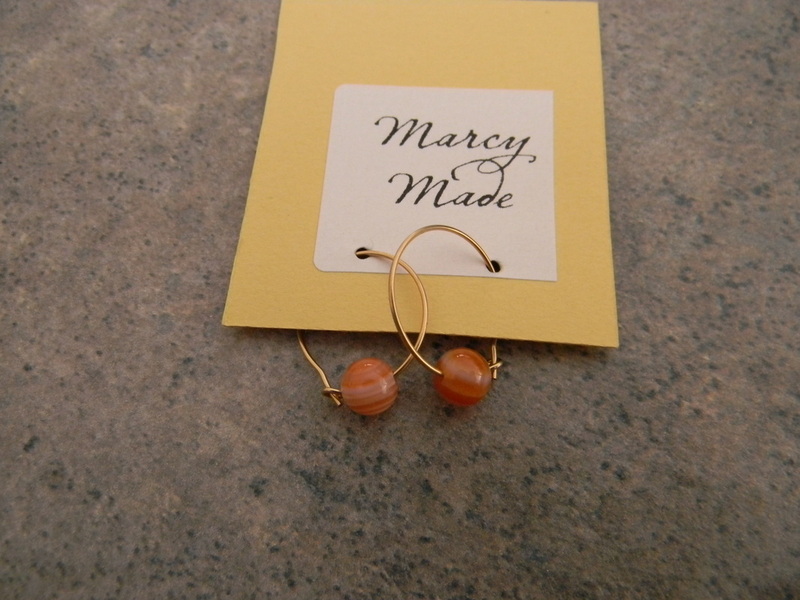 These gold-filled hoops hold the fabulous stone - sardonxy.